This medium-sized frog was spending his early-evening hours doing the frog kick in the Esquinas Lodge's unchlorinated swimming pool. 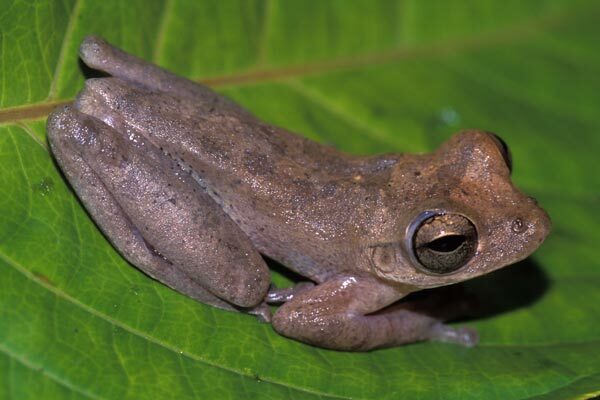 It may have been looking for frogs of the opposite gender there, but the only other amphibian inhabitant was a different species, Smilisca phaeota. This frog was photographed on a herping trip with GreenTracks. Here is a complete list of the species we found on this GreenTracks trip.